The chairman of the Knesset’s Foreign Affairs and Defense Committee described why Hezbollah has been able to keep the rockets flying despite extreme military pressure from Israel: “Hezbollah separated its leadership command-and-control system from its field organization. It created a network of tiny cells in each village that had no operational mission except to wait for the moment when they should activate the Katyusha rocket launchers hidden in local houses, using coordinates programmed long ago” (San Francisco Chronicle, July 21). 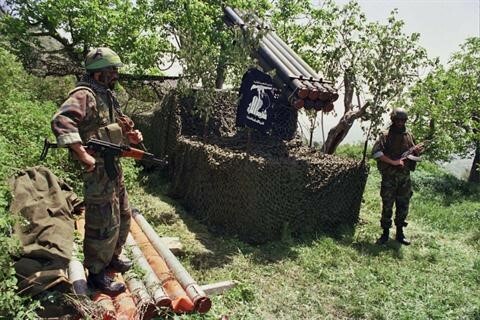 The 122mm Katyusha (range: 20-25 kilometers) is the mainstay of Hezbollah’s rocket arsenal. “Katyusha” is somewhat of a generic term today, covering a wide variety of small, unguided, solid-fuel rockets produced by a number of countries, including Iran. The Katyushas all have a common origin in the Soviet BM-8 and BM-13 truck-mounted rocket launchers that were used against the German army in 1941. Fired in short-range volleys of as many as 48 rockets at a time, they had an immediate military and psychological impact on German troops. 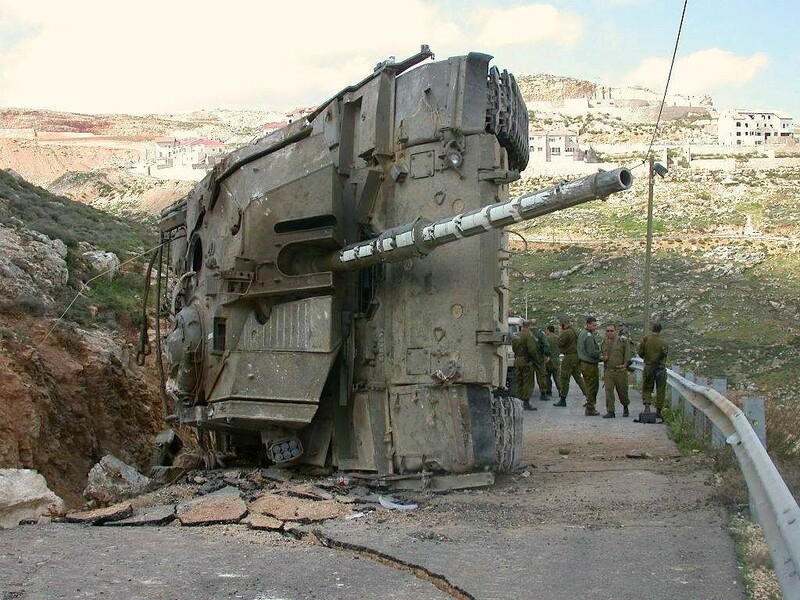 Hezbollah usually fires their version of the Katyusha one at a time from improvised launching facilities. Some Katyusha-type multiple-rocket launching systems were specifically designed to be dismantled into single units for guerrilla use. In 2001, the first truck-mounted launching systems were reported in Hezbollah’s arsenal, making more effective volley-launches possible. There are some recent instances of volley-firing, such as the attacks on the Israeli town of Acre on August 3. Once in the air, the cheaply-made Katyushas are remarkably difficult to stop. A few years ago, Israel and the United States cooperated in a joint project to develop a “Tactical High Energy Laser” (THEL) to bring down such rockets by igniting the warhead in mid-air through the use of a high-energy chemical laser. In tests the system successfully destroyed several Katyusha rockets, but mobility difficulties and technical concerns related to the chemical fuel led to a cut in funding for the project in 2004. Research is underway on a more-portable version with an electrically powered laser, but production of this costly system is still years away. The unguided Katyusha is not intended to strike a specific target. Rather, it is designed to be fired with 16 or more of its kind in a salvo that rains destruction upon a certain area, preferably a troop concentration, massed armor or fortified emplacements. By firing Katyusha-type rockets singly (often into sparsely occupied parts of Israel) Hezbollah has forgone the tactical use of this weapon for strategic purposes. Here Hezbollah signals its mastery of media warfare; the media covers wars like a sporting event, with the scorecard being the most important element in determining who is winning. Besides the daily updates of the number of troops killed, the number of civilians killed and the number of air-raids launched, the media also dutifully records the daily tally of rockets fired. Despite causing insignificant physical damage, each rocket arrives like a message of defiance, a signal to the Arab world that Israel is not invincible. Hezbollah routinely looks for new uses for existing weapons in its arsenal, and in this case they have transformed a battlefield weapon into a means of political warfare. The introduction of longer-range Iranian-made Fajr-3 and Fajr-5 rockets (also known as the Ra’ad, or by the Hezbollah name “Khaibar”) has given the conflict a new dimension, with Hezbollah no longer restricted to hitting the thinly populated Israeli north. The 240mm Fajr-3 has a range of 45 kilometers and carries a 45 kilogram warhead, while the 333mm Fajr-5 has a range of 70-75 kilometers and carries a 90 kilogram warhead. Both systems are usually truck-mounted. The Fajr-5 was first used in the July 28 attack on the Israeli town of Afula, then again in an attack on the West Bank town of Jenin on August 3. At the extreme limits of their range, the Fajr-type rockets are accurate only to within a one kilometer radius. An Iranian official recently confirmed that Zelzal-2 rockets, with a stated range of 200 kilometers (although this figure may be significantly exaggerated), had been provided to Hezbollah by Iran for use “in defense of Lebanon” (Haaretz, August 5). The 610mm Zelzal-2 is a 3,500 kilogram rocket with a 600 kilogram high-explosive warhead, first delivered to Revolutionary Guard units in Lebanon in 2002. Israeli intelligence believes the missile is capable of reaching the northern suburbs of Tel Aviv. Although the rocket is unguided and difficult to use, the threat from the Zelzal-2 is taken seriously, with U.S.-made Patriot anti-missile systems deploying near Netanya to guard Tel Aviv. The Patriot system is useful only against larger, longer-range rockets, with no effectiveness against the smaller Katyusha types. On August 3, Hezbollah chief Sheikh Hassan Nasrallah made a televised offer to Israel to stop firing Hezbollah rockets in exchange for an end to Israeli air strikes in Lebanon. The Shiite leader warned, however, that Hezbollah would fire its rockets at Tel Aviv if the Israeli Air Force attacked Beirut (al-Manar TV, August 3). It is possible that Hezbollah requires Iran’s permission to attack Tel Aviv. The largest weapons in Hezbollah’s missile arsenal are likely to be at least partially manned by members of Iran’s Revolutionary Guards. The current Israeli operation bears a great similarity to Israel’s 1996 “Grapes of Wrath” operation: a massive military response to Hezbollah’s launching of Katyusha rockets into northern Israel despite the occupation of the Israeli “security zone” in southern Lebanon. Proclamations that it was time to end the “Katyusha menace” came to nothing as the offensive had little effect on Hezbollah’s rocket capabilities and took few Hezbollah lives at a great cost to Lebanese civilians. Hezbollah rocket launches were carefully tallied by the Lebanese public as a measure of the movement’s success on the battlefield. The Shiite movement was strengthened politically through armed resistance to Israel, while the Israeli government of Shimon Peres lost the next election. Following the 2000 evacuation of the south Lebanese security zone, Israel refrained from responding directly to Hezbollah provocations along the border in mid-2001 and spring 2002. The Israeli government was aware that targeting Hezbollah would bring a flurry of rockets across the border, followed by an inevitable escalation and probable re-occupation of a region that Israel had just evacuated. For a time, at least, renewed war in south Lebanon carried too high a political price. Hezbollah’s rocket strategy has successfully disrupted all activities in northern Israel, forcing 300,000 Israelis into shelters or refugee camps, and impressing upon Israelis that building a wall around their country is not enough to ensure permanent security. Israel’s war is incredibly expensive, and the deployment of the reserves creates an economic drain that is difficult for a small state like Israel to sustain. As long as Hezbollah can continue to send rockets across the border, it strikes an economic blow on its enemy. Continuing to fire the rockets also goads Israeli ground forces into military confrontation with the guerrillas on ground that Hezbollah has prepared for six years. The size of Israel’s proposed security barrier keeps changing with the realization that even an occupation up to the Litani River (a zone 28-35 kilometers deep) will keep only Hezbollah’s short-range Katyushas from reaching Israel. A measure of this reality (and the importance of the “scorecard”) was reflected in the August 1 televised remarks of Israeli Prime Minister Ehud Olmert: “I believe one can say today…that there is no way to measure this war according to the number or range of the rockets being fired at us. From the very first day, neither I, nor the defense minister, nor the Israeli government, nor the military leadership—and this is to its credit—ever promised for even one moment that when the fighting ended, there would be absolutely no rockets within firing range of the State of Israel. No one can make such a promise” (Israel TV Channel 1, August 6). The resistance of Hezbollah fighters, the severity of the Israeli bombing campaign and the inability of Israel to halt the rockets has resulted in unusually broad popular support for Hezbollah both in Lebanon and a politically frustrated Arab world. When ceasefire negotiations begin, it will now be difficult for the Arab regimes that opposed Hezbollah at the beginning of the conflict (particularly Egypt, Jordan and Saudi Arabia) to ignore Hezbollah’s calls for at least diplomatic support from the Arab states. In the meantime, Hezbollah’s rocket campaign continues to destroy little militarily while it accomplishes much politically, economically and psychologically. With its attack on Hezbollah in southern Lebanon, Israel is fighting on terrain that has been prepared by the Shiite movement for six years since the Israeli withdrawal from Lebanon in 2000. Israeli Defense Force (IDF) soldiers have described finding a network of concrete bunkers with modern communications equipment as deep as 40 meters along the border (Ynet News, July 23). The terrain is already well-suited for ambushes and hidden troop movements, consisting of mountains and woods in the east and scrub-covered hills to the west, all intersected by deep wadi-s (dry river beds). Broken rocks and numerous caves provide ample cover. Motorized infantry and armor can only cross the region with difficulty. Use of the few winding and unpaved roads invites mines and ambushes by Hezbollah’s adaptable force of several thousand guerrillas (The Times [London], July 21). Hezbollah emerged in 1985 with more enthusiasm than tactical sense, relying on wasteful frontal assaults and more effective suicide attacks on Israeli troops. With training provided by Iran’s Revolutionary Guards, Hezbollah’s highly-motivated military wing developed into a highly effective guerrilla force. Iran continues to provide specialized training, funds and weapons to Hezbollah through the Revolutionary Guards organization. 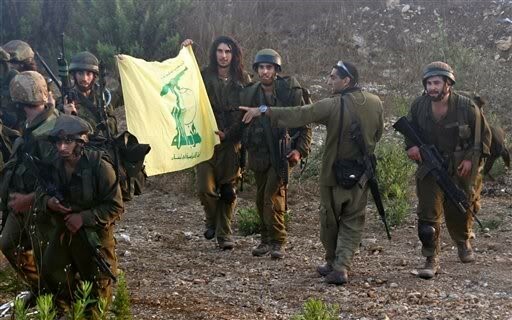 Various reports suggest Iranian volunteers are being recruited and sent to Lebanon to assist Hezbollah, but these reports remain unconfirmed (Alborz News Agency, July 18; Mehr News Agency, July 17). Hezbollah’s military leadership has rethought much of the strategic and tactical doctrine that led to the repeated defeat of Arab regular forces by the IDF. The top-down command structure that inhibited initiative in junior ranks has been reversed. Hezbollah operates with a decentralized command structure that allows for rapid response to any situation by encouraging initiative and avoiding the need to consult with leaders in Beirut. The military wing nevertheless answers directly to Hezbollah’s central council of clerics for direction. The fighters are armed with Kalashnikov assault rifles and rocket-propelled grenades, typically assembling in small teams to avoid concentrations that would draw Israeli attention. The preparation of well-disguised explosive devices has become a specialty of Hezbollah. The uncertainty created by such weapons takes a heavy psychological toll on patrolling soldiers. Hezbollah has improved its night-vision capabilities, although they do not compare with Israel’s state-of-the-art equipment, which includes UAVs, helicopters and jet-fighters equipped for night warfare. Hezbollah fighters are well-trained in the use of complex weapons systems. Air defense units use SA-7 missiles and ZU-23 anti-aircraft guns on flatbed trucks. The guerrillas rigorously examine the success or failure of each operation after completion. Tactics change constantly and new uses are sought for existing weapons. The use of mortars (81mm and 120mm) has been honed to near perfection. Hezbollah fighters have developed efficient assault tactics for use against armor, with their main anti-tank weapons being AT-3 Saggers and AT-4 Spigot missiles. Four tanks were destroyed in two weeks in 1997 using U.S.-made TOW anti-tank missiles (these missiles traveled from Israel to Iran as part of the Iran-Contra affair before being supplied to Hezbollah). Hezbollah leaders believe that their fighters have a perspective on conflict losses that gives them an inherent advantage; according to Naim Kassem, deputy leader of Hezbollah, “[The Israeli] perspective is preservation of life, while our point of departure is preservation of principle and sacrifice. What is the value of a life of humiliation?” (Haaretz, December 15, 1996). With no hope of overwhelming Israel’s well-supplied military, Hezbollah fighters concentrate on inflicting Israeli casualties, believing that an inability or unwillingness to absorb steady losses is Israel’s strategic weakness. Hezbollah has also mastered the field of information warfare, videotaping attacks on Israeli troops that are then shown in Israel and around the world, damaging public morale and degrading the myth of IDF invincibility. Hezbollah is believed to have as many as 10,000, unguided 122mm Katyusha rockets (range 22 km) (Arutz Sheva, August 1). The Second World War-style Katyushas are easily obtained on the international arms market and inflict greater economic and psychological damage than physical damage. Their chief advantage is their portability; launchers can be easily mounted on a truck that can dash into position, fire its rockets and take off to a prepared refuge before a retaliatory strike can be launched. Sometimes automatic timers are used on the launchers, allowing the crew to escape well in advance. The weapon used in an attack against an Israeli warship that killed four commandos was identified by the Israeli military as an Iranian-made C802 Noor radar-guided land-to-sea missile (range 95 km). Most other missiles used by Hezbollah are Iranian-made, including the Raad 2 and 3 models (used against Haifa), the Fajr-3 and 5 and, allegedly, the Zelzal-2, with a range of 200 km. Hezbollah is unlikely to have used the most potent weapons in its arsenal. Hanging on to them provides both strategic and psychological advantage. It is typical Hezbollah strategy to view war as a progression, rather than to use everything it has in the early stages of a conflict. While Israel may have a timetable of several weeks for this campaign, Hezbollah is prepared for several years of fighting. Disengagement may prove more difficult for Israel than it assumes. At some point, however, Hezbollah may become short of weapons and supplies. Normal supply lines from Syria have already been cut and Hezbollah has no facilities capable of producing arms or ammunition. Israel has never been able to get the upper hand in the intelligence war with Hezbollah. Hezbollah’s military wing is not easily penetrated by outsiders, but has had great success in intelligence operations against Israel. Nearly the entire Shiite population of south Lebanon acts as eyes and ears for the fighters, so it is little surprise that Israel initially concentrated on eliminating regional communications systems and forcing the local population from their homes in the border region. Israel’s air strikes have revealed the limitations of conventional air power in coping with mobile forces with little in the way of fixed installations or strategic targets. The 18-year war against the Israeli occupation (1982-2000) has, on the other hand, given Hezbollah an intimate knowledge of Israeli tactics. While some 3,000-4,000 Israeli Air Force air-raids in the last few weeks have killed hundreds of civilians, Hezbollah admits to only a few dozen of its own fighters killed (although Israel claims it has killed 300 Hezbollah fighters). According to Ali Fayyad, a member of Hezbollah’s Central Council, the movement’s strategy is “not to reveal all its cards, to impose its own pace in fighting the war and to prepare for a long war” (Bloomberg, July 27). 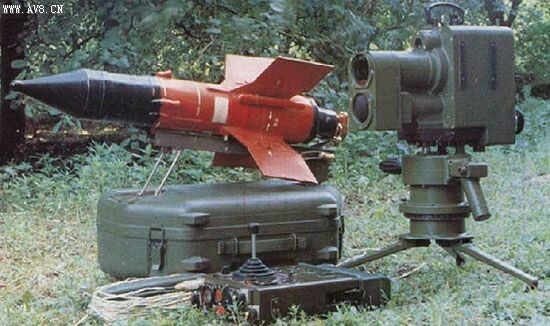 On July 30, the Israeli army published photos of various anti-tank missiles they claim to have found in a Hezbollah bunker (see: www.hnn.co.il/index.php). The weapons include Saggers and TOW missiles. The TOW (Tube-launched, Optically-tracked, Wire-guided) missile is a formidable weapon first produced by the United States in the 1970s. These missiles were of interest as their packing crates were marked 2001, suggesting that these were relatively new additions to Hezbollah’s arsenal and not part of the shipment of TOW missiles from Israel to Iran that was part of the Iran-Contra scandal of 1986 (the shelf-life of the TOW is roughly 20 years). On August 6, Israeli Major-General Benny Gantz showed film of BGM-71 TOW and Sagger AT-3 missiles he reported were captured at one of Hezbollah’s field headquarters (Haaretz, August 6).